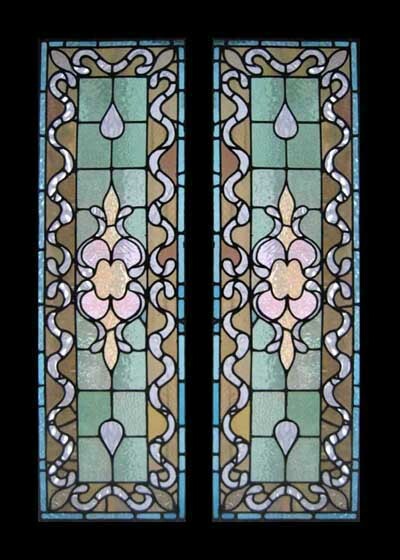 MAGNIFICENT ENCHANTING VICTORIAN PAIR OF SIDELIGHTS OF THE MOST AMAZING QUALITY. These beautiful old windows have outlived the original frames, and have been rehoused in substantial pine frames. Removed from a LARGE VICTORIAN MANSION IN DEVON ENGLAND during refurbishment.